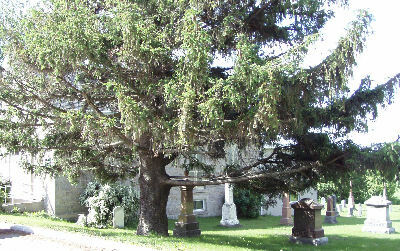 Partial listing of headstones at the Stone United Cemetery in Eramosa Township, Wellington County, Ontario. DICKSON, Joseph and Ellen MITCHELL. Irene Dickson JOHNSON. HODGKINSON, Justus and Evolina RITCHIE. Arthur HODGKINSON. LOREE, James G. and Lucy JOHNSON. James L. LOREE. Martha STOUT. MITCHELL, John and Lydia HAGGETT. M. Matilda MITCHELL and David TARZWELL.